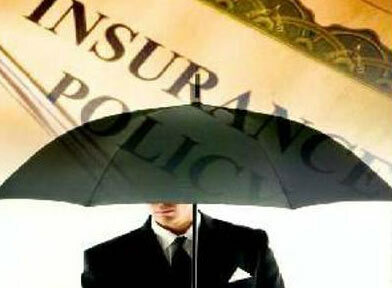 1 in 10 insurance claims turns out to be a fraud - Corporate Risks India Insurance Brokers Pvt. Ltd.
MUMBAI: Insurance claim frauds – which are growing in number and getting more innovative – have put insurers in a dilemma. Companies want to simplify the claims process and wipe out the trust deficit faced by insurers. But this is turning out to be tough when frauds are close to one in ten claims in some retail categories. “Our estimate is that industry frauds are in the range of 10% of claims, which I feel is a conservative one,” said Ritesh Kumar, MD & CEO, HDFC Ergo General Insurance. The choice is between being very careful in accepting proposals and liberal in settlement, or in being liberal in accepting proposals and vigilant while settling. Excess scrutiny in policy issuance makes it difficult to sell in a market with low penetration. But delaying claims worsens the trust deficit among individuals, reflected in the belief that getting claims paid is a challenge. Simplifying claim settlement is something that most companies are trying to do in order to build a retail portfolio. “If a policyholder who has spent lakhs on an overseas trip claims $300 for lost baggage, we would accept the claim,” said Sanjay Datta, head of underwriting and claims at ICICI Lombard General Insurance. Even state-owned New India Assurance had a few months earlier launched a householder policy that settles claims for breakdown of electronic equipment where all household items would be covered on good faith without the buyer having to declare each individual item or provide proof of ownership. According to G Srinivasan, chairman, New India Assurance, frauds are expected to be around 10% and the company is trying to address frauds by drawing patterns and through analytics without inconveniencing policyholders. Insurers have also created an electronic database that serves as a blacklist. The challenge is that fraud patterns are also changing fast. HDFC Ergo has had cases where a personal accident cover was bought a year after the death and the date of death was fudged in the official reports. Kumar also highlights how a convenience provided for claimants is misused by policyholders. “We had allowed policyholders to message us an image of the cheque for electronic transfer instead of sending us the actual cheque. We had fraud where a claim was made through misrepresentation and the money sent to the fraudster by manipulating the account number in the image,” he said. “The biggest frauds that we are seeing are in mediclaim. After we cracked down on nursing homes that created non-existing claims, fraudsters are creating forged documents of mainline hospitals,” said Kumar. ICICI Lombard has had motor fraud cases where a theft claim was lodged after the vehicle was sold by the owner to someone out of state. According to Bhaskar Jyoti Sarma, MD, SBI General, a large chunk of frauds are also in motor insurance. The industry is pinning a lot of hopes on a special investigation team, or SIT, which has been set up as per an Allahabad high court order consequent to a PIL lodged by one of the private insurers, on cases of fraudulent insurance claims. “Recently, IRDAI sent across a letter to all insurers, asking to furnish a list of “false claims” registered under the Motor Vehicles Act and the Workmen’s Compensation Act. We will be submitting the data shortly and will extend full cooperation to both the regulator and other insurers towards the same,” he said.